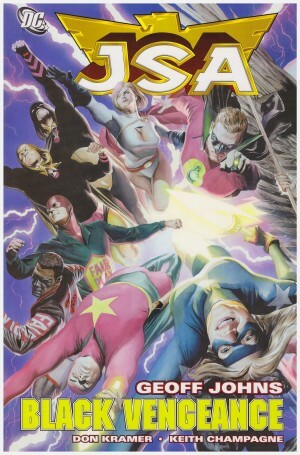 The Lost Daughters of Earth 2 opened well, establishing Huntress and Power Girl as refugees from an alternate Earth trapped on the familiar DC Earth five years before the story opened. Paul Levitz runs their present day attempts to return to their own world, interspersed with interludes from the preceding five years. However, there wasn’t much to move the plot forward in the remainder of a decompressed graphic novel. Levitz picks up the pace and the variety for Hunt and be Hunted. 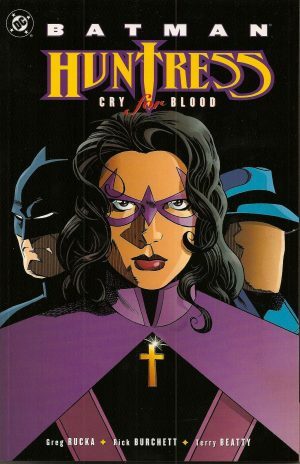 As Karen Starr, Power Girl has built a global technology company, and the methods employed to achieve this are increasingly under focus, as are the finances Huntress has acquired to maintain her lifestyle. 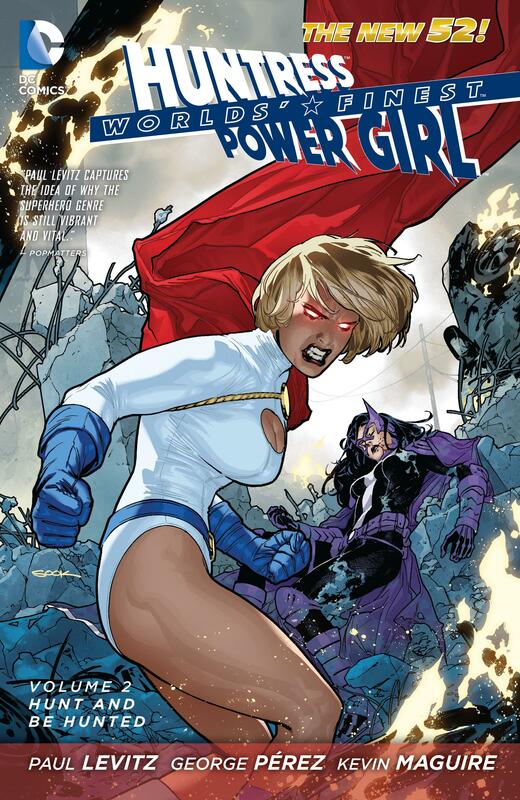 Before their unwilling eviction from their own planet Huntress and Power Girl had been fighting an invasion from the forces of Apokalips, and they now discover weapons from that planet’s equivalent in this dimension are finding their way to Earth. There’s little movement on the primary mission of returning home, but as Levitz keeps the threats brief the result is a faster paced read. 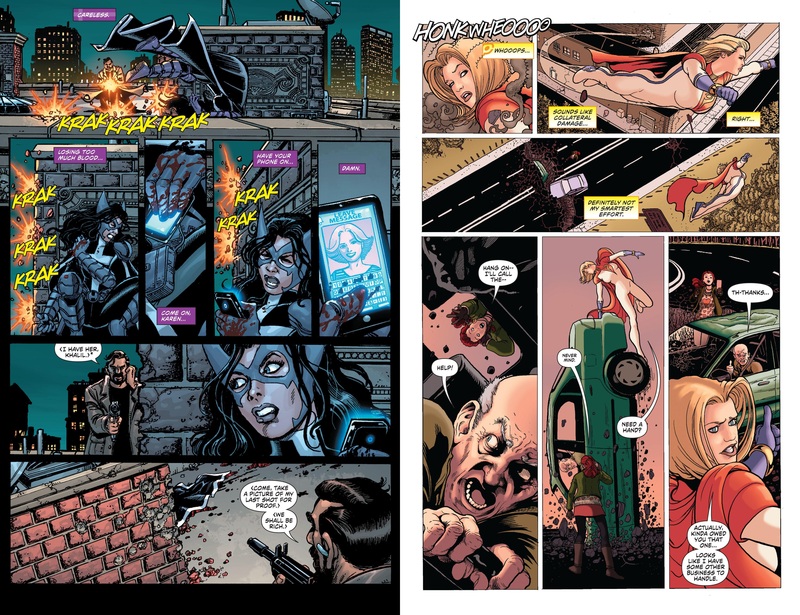 Previously the pencil art was shared between George Pérez (sample page left) on present day sequences and Kevin Maguire (sample right) detailing the past, and that arrangement broadly continues until the halfway stage. After that five different artists have a try at the feature, all of them good, and thankfully the differences in style aren’t massive, so everything’s still in a broadly naturalistic style. 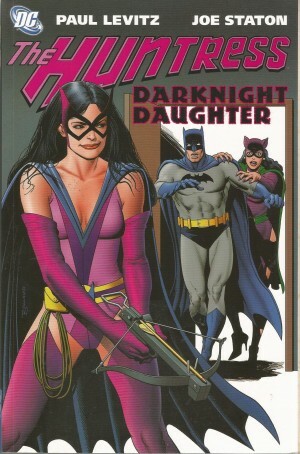 It is noticeable, however, that Huntress’ chest size increases considerably under Robson Rocha. 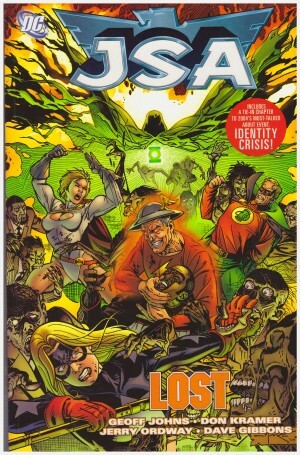 By the end of a more satisfying graphic novel than the first Levitz has left no doubt as to who is targeting Power Girl’s company, but the why is less obvious. However, they have a lot of resources and little in the way of concern for humanity. It sets up Control Issues nicely.